Celtic Woman are celebrating their ten year anniversary with a new album Destiny along with a supporting world tour. They unveiled a mix of modern and traditional Irish music during their two night stand at the Tennessee Performing Arts Center (TPAC) on March 4 and 5, 2016. They started off their 85 city tour in Nashville, Tennessee with a passionate and polished production that we had the pleasure of attending on Saturday evening. Celtic Woman is currently fronted by four lead females. The group’s personnel has changed over the years but the brand of playing past and present Celtic tunes has remained a constant. Irish music was piped in as the TPAC patrons of various ages took their seats. The Andrew Jackson Hall is a warm inviting room with fine acoustics. On stage were two drum kits, a grand piano and a large screen behind the band. The lights dimmed as the men took their places and violinist Mairead Nesbitt floated out strumming crisp clean chords. She slowly swirled around pointing her bow before the pace picked up as vocalists Mairead Carlin, Susan McFadden and Eabha McMahon melded into the mix. All four lasses were lovely visually and vocally. They wore gowns that added to that overall effect. Lighting and videos were also utilized enhancing the presentation as a whole. But most importantly was the passion of the ensemble that enchanted the attentive TPAC audience. “Ride On” from Destiny galloped along on one to three part harmonies with an acoustic guitar in tow. “The Hills of Ireland” also from the new record paid tribute to their homeland with beautiful lyrics and images. Nesbitt smiled, strummed and even kicked as she worked the whole stage during this spirited piece. Stars shined down as Celtic Woman performed a bright “The Whole of the Moon”. Again their multi-part vocals were magical yet each were stand-outs individually. Bold rhythms were a big part of their sound too. “How Can I Keep From Singing” was another new track that featured subtle instrumentation paired with strong singing. From the side of the stage came the opening notes of “Amazing Grace” brilliantly played on the bagpipes. The piper strolled to the center joining the ladies for an inspiring interpretation of the hymn. The girls traded off verses before the bagpipe blended back in towards the end. “I See Fire” (Ed Sheeran) started off smoldering and swelled revealing another highlight from Destiny. The classic “Danny Boy” was a melodic and perhaps the most moving moment of the first set. The sound of a big hand drum proclaimed the start of the second set. The ladies now in blue dresses presented a fluid “Orinoco Flow” a staple for the Irish singers since their start ten years ago. Celtic Woman shared that history is important to them recalling the revolution of 1916 as one of the steps to Ireland’s freedom. The next song was sung back and forth in English and Gaelic. “My Land” was a fine tribute to beauty and traditions with the bagpipes punctuating the points of the homeland. “Walk Beside Me” was another winner from the latest record. 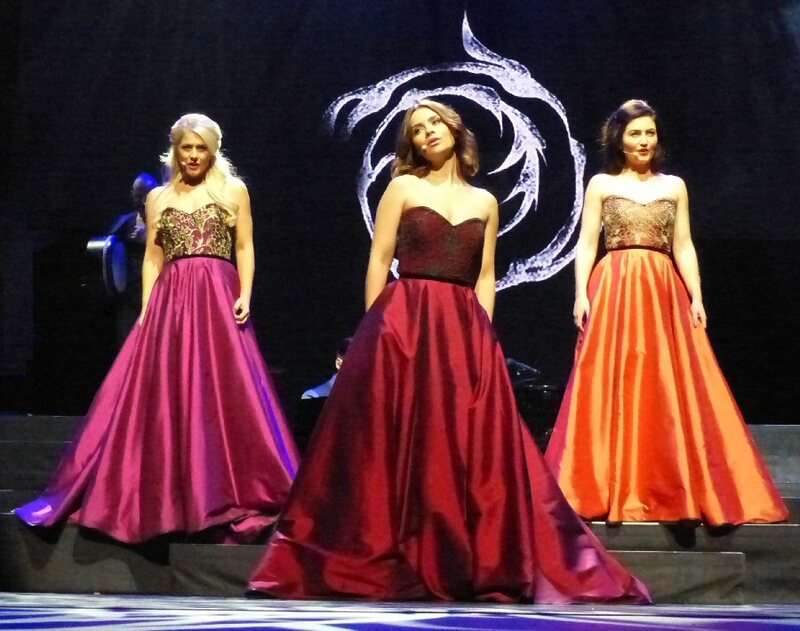 Celtic Woman supported by a full band with male vocalists fulfilled their Destiny in Music City with a rousing repertoire of past and present material. The concert was a celebration of new music by one of Ireland’s seasoned sensations and Destiny is fated to stand the test of time. 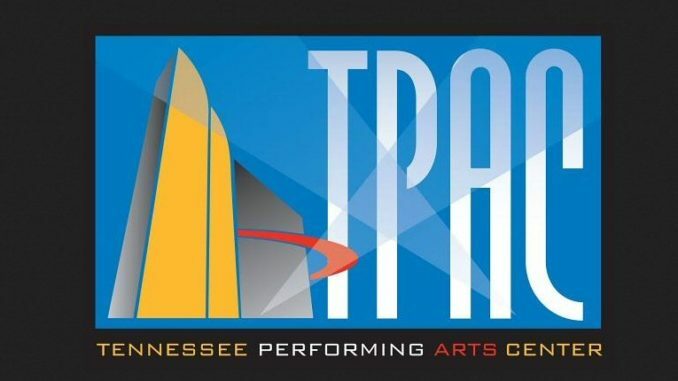 The Tennessee Performing Arts Center (TPAC) is a private, non-profit organization dedicated to providing and supporting the presentation of the performing arts to the citizens of Tennessee. TPAC is located in the James K. Polk Cultural Center at 505 Deaderick Street in downtown Nashville. It has multiple venues that host a wide range of artists such as Celtic Woman. Up-coming events include The Phantom of the Opera, BANFF Film Festival, Chicago, Jim Jefferies and Let’s Dance.